Real Estate Brokers: Valuable to Investors? If you have ever purchased a house then you’ve probably had at least one experience with real estate brokers. 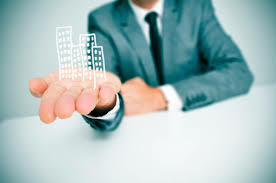 Real estate brokers are in abundance. We see their faces all over bus stops and bill board signs. If you want to know how to invest in real estate, you’ll need to know how do you choose the right ones that can help you grow your business. Today I’m going to share with you 3 important characteristics that we here at Simple Acquisitions look for if we want to engage real estate brokers. Just because a realtor knows how to SELL real estate doesn’t mean he/she know how to INVEST in real estate. Marc and I like to develop relationships with brokers that have investment properties of their own or at least have experience helping others buy and sell investment properties. The realtors and brokers we work with need to know acronyms such as NOI, CAP rate, DSRC and ROI. They need to understand a property as an investment, and not as a private residence. The two are bought and sold quite differently. Typically realtors with this level of knowledge are usually commercial agents or brokers. Great real estate brokers will have detailed knowledge of their market. This is especially important to investors who may not live in the city in which they invest. Although we do our own research, we rely on local professionals to provide us valuable market data and insights into the markets that they live and breathe every day. Anyone can find and buy a property on MLS or LoopNet. A good real estate broker will have strong networking skills and have useful connections in the community. As a result they will be able to find you those pocket listings and below market deals that we as investors crave. Real estate agents/brokers can play a huge role in helping us acquire a deal, assessing the value of a property or even helping us close a difficult sale. Real estate is all about relationships. We rely on brokers to help find us great properties to buy, and they rely on us to bring them repeat business. Developing these relationships take time. As you learn how to invest in real estate you’ll see that you can’t expect a broker you met over coffee to just hand you over an amazing off market listing opportunity. Both sides need to build and earn trust and show commitment to doing business with each other. Real Estate Brokers are a power team member that can help you build wealth. If you want to learn more about how to invest in real estate or find out how getting involved in real estate can benefit YOU contact us.